Citizens on Patrol (COP) provide a visible presence in the community while fostering partnerships with Brantford Police Services, local businesses and residential areas, to identify and expand opportunities to deter criminal activity and reduce crime. COP volunteers will be goodwill ambassadors and foster positive contact with members of the community. COP’s will act as non-confrontational observers and report suspicious behaviour. 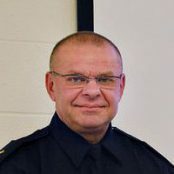 Their mission is to be non-intrusive, trained civilian eyes and ears of the Brantford Police Service, contributing to the overall safety and wellness of the City of Brantford. This program does not promote, require or ask for any involvement of members in the apprehension of criminals. The purpose is solely to observe and report. 10. Positively reflect the community of Brantford, the Brantford Police Service and the Citizens on Patrol Program at all times while a member of the program. Members of the BPS Training Unit will conduct training. Following successful completion of training, COPs members can begin patrols. Additional training will be conducted as required.